First Thursday in the Linen District | Bar special from the Modern Hotel TBA! Shop local from over 35 Buy Idaho businesses Dec 6th at the Linen Building! Enjoy live music while you shop, hang out in the beer and wine garden, and let Santa know if you’ve been good! Vendor list TBA. 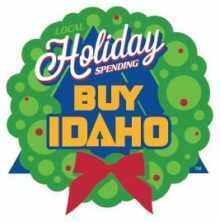 Support your local businesses this season and make it an Idaho Holiday!